Alfa Katsifa App is all about taste in our life.It presents a big variety of spices and herbs in all possible packagings. Shows clever and creative ideas , how to use herbs and spices , in everyday recipes. 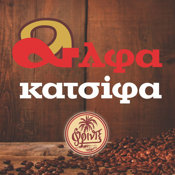 There is also a tribute in greek coffee and recipes of making a greek coffee.